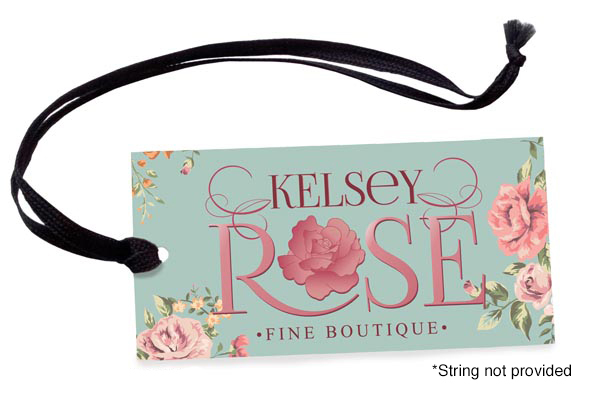 Promote your business or product and stand out with custom silk hang tags. Create a custom hang tag and display valuable information such as product instructions and details, prices or a brief story about your business and brand. Use them for clothing, gifts, jewelry, party favors, specialty jars, gift baskets, and more. A silky and smooth lamination is applied to make them tear and water resistant and helps protect them from cracking or chipping along the edges. Our silk hang tags are available in a variety of dimension to meet your needs.